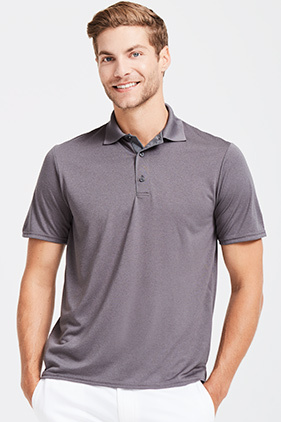 100% filament polyester jersey knit 4.7 ounce performance polo. AquaFX® for wicking properties. Contoured welt collar. Clean finished placket with reinforced box and three smoke grey pearlized buttons. Double-needle sleeve and bottom hems. Side-seamed with side vents. Heat transfer label and joker label.